The original name of the Oud was “Al-Oud”. 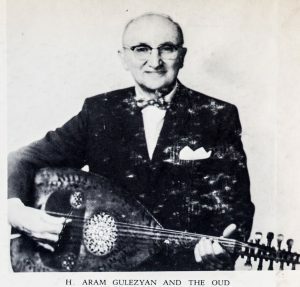 In time, the prefix “Al” was dropped, and the instrument became known as the OUD or ’UD. Later, the combination of “Al-Oud” became “Lute”. Archeological discoveries revealed a vast array of beautiful and luxuriously-toned instruments; i.e. harps, lutes, dulcimers and flutes. 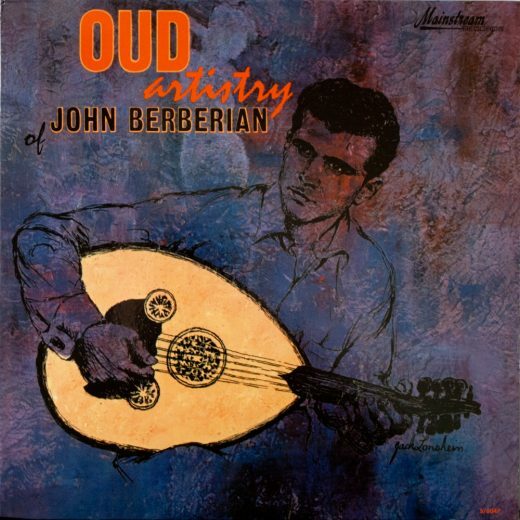 The only type of music capable of being produced on the Oud had been melodic. The Oud is timed in 4th — A.D.G.C. The bass string is an octave lower G.
The Oud is of Arab perpetuation. The first of its kind, similar in body but with a longer neck, was discovered in the tomb of Sen-Mut, a tutor of Princess Neferura, who exercised great influence over the arts during the reign of Queen Hatshepsut from 1501 to 1479 B.C. Music was revered as a great art, and scientifically studied. Serious critics here and abroad regard Gulezyan’s art as superb. He has few peers in his effortless interpretations of difficult classical compositions. Gulezyan has appeared before many musical art societies in the United States and abroad. In 1952 he was invited by Prime Minister Mohamed Naguib, lectured and gave recitals in Egypt. His repertoire included compositions presented in this Lyrichord release, as well as exciting examples of Algerian. Moorish and Spanish influences. In Gulezyan’s hands the Oud becomes a truly cosmopolitan source of musical pleasure. Music of the Near East — The Oud presents compositions which exemplify the musical culture of several areas of the Near and Middle East. The orchestrated compositions are the descendants of these early melodies and contain elements of music of great antiquity. 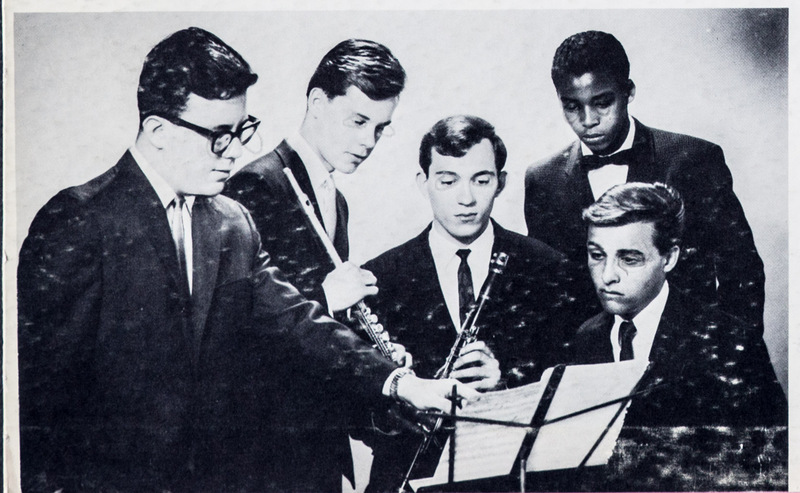 Left to right: Michael Lieberman, Montclair State College, arranger-keyboard-bass; Gerard Sheehan, Amherst College, flute; Alan Struck, Rutgers University, clarinet; Darrell Williams, percussion; Alexandra Mancini, Jersey City State College, bass. 1. Pharaonic Egyptian — Oud Solo. The composition is Pharaonic Egyptian, transliterated from a Coptic bound vellum text of approximately 2000 years antiquity. The text indicates vocalization but none was discovered. If voice were to accompany the Oud, it would have to be in a form of vocalise, i.e. using vowels rather than words. 2. Oushak Taksim— Oud Solo. This is an Oud fantasy based on an ancient mode. The influence of this early music upon neighboring countries of the Near and Middle East is evidenced in the composition. Oushak Taksim in a demotic sense means “small portions”. 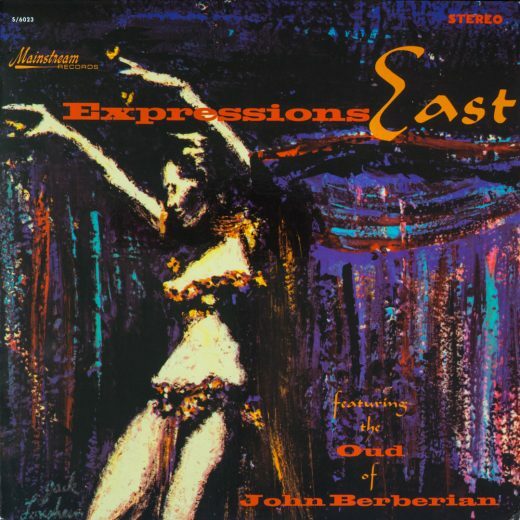 This is a creative melody, improvised by the Oudist in ‘small portions’. The scale and mode is indigenous to the Near East. A dance melody, indigenous to Kurdistan. The influence upon Near and Middle East music grew and was expanded by the more sophisticated instrumentalists. 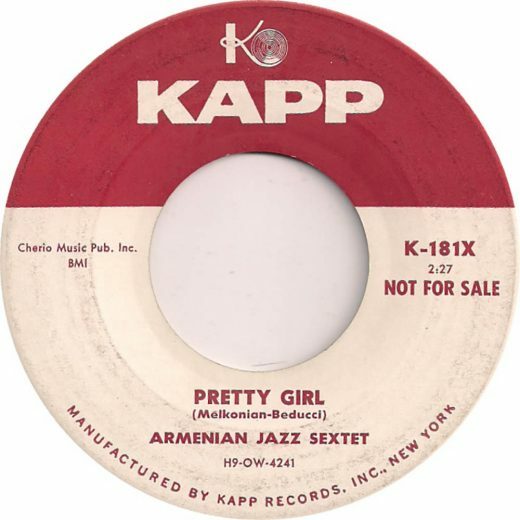 Recalling the gay tunes played in areas of Armenia, it is a vivacious and happy oriental mode, composed by H. Aram Gulezyan. An example of the melodic structure of music indigenous to Arabia, the melody was originally played on the Zoornah, an oboe-type wind instrument. An Oud fantasy indigenous to the Near East. The composition furnishes an excellent example of the influence into classical Turkish music, containing elements of modern treatment. A Turkish love song in which boy loves girl. He invites her for an evening of romance. He is jealous and inquires as to who is with her when he is not. Turkish in origin, Hehr-Sabaktan or Every Morning speaks of the flowers blooming every morning, and withering at sunset. He sings of her lovely face blooming each morning like the flowers and sad at night. 11. Karoon — Oud Solo. Karoon means Spring Time. It is typical of the plaintive classical Armenian tunes — dwelling on romance. Chefti-Telli, or “double strings.” By innuendo, the inference that his sweetheart is two-faced and not true or sincere in her love. Mancini, Jersey City State College, bass.